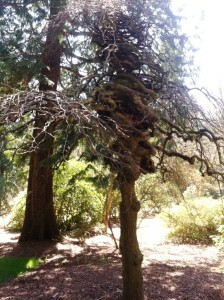 The next time you find yourself with a Sunday afternoon open, consider dropping by the Washington Park Arboretum for a free guided tour of the 230-acre park nestled along the shores of Lake Washington in northwest Seattle. The hour-and-a-half long walk is leisurely and the tour enlightening. 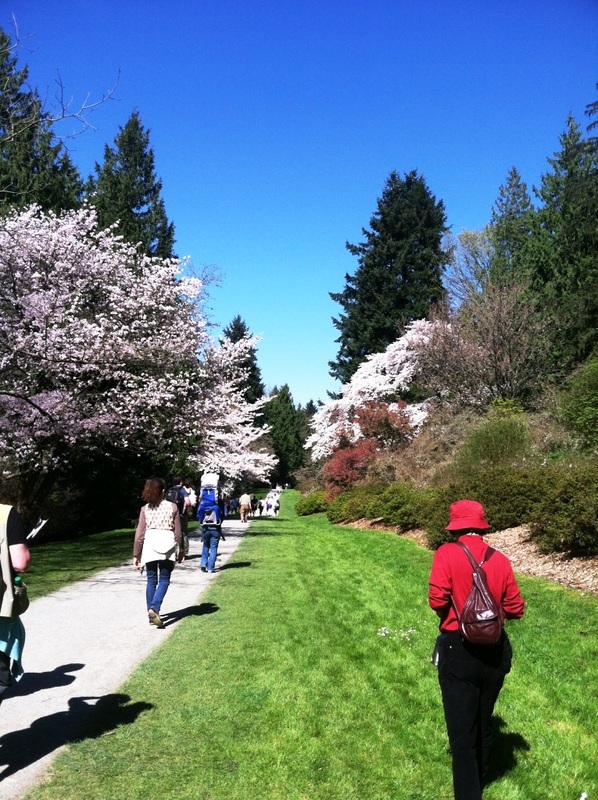 In keeping with the month’s theme, Catherine led the group on an engaging tour of her favorite plants in the park. She steered walkers towards trees native to Pacific Northwest soil and pointed out foreign plants far from home. The group of city residents and out-of-town visitors (young and old, two-legged and four) gazed up in awe at a towering Mountain Sequoia and posed for pictures in front of a knotted Camperdown Elm. The walk ended under the flowering canopy of cherry trees along Azalea Way. 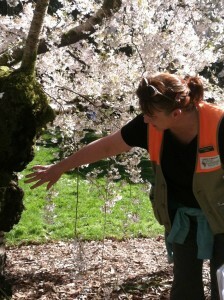 While the cherry tree is not technically one of Catherine’s favorite plants, she couldn’t resist bringing the tour to a close with this crowd-pleasing favorite.